Nelson Blue Devil Dog Water Bucket Heater - 10202B. $79.95. "Living in New York, it can get extremely cold. Using the Nelsons Blue Devil Dog Water Bucket Heater is an easy way to keep water warm and easy to install." Living in New York, it can get extremely cold. 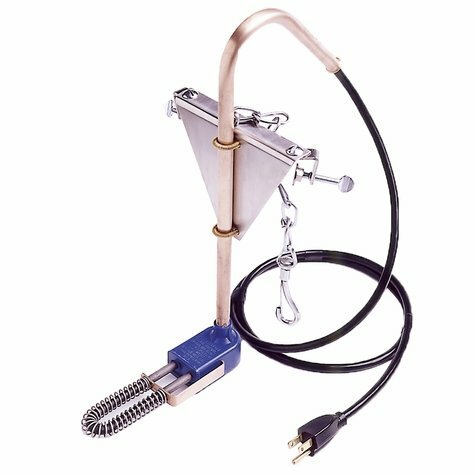 Using the Nelsons Blue Devil Dog Water Bucket Heater is an easy way to keep water warm and easy to install. I put mine on a cheap home depot 5 gallon bucket. "Seems like a good product." Seems like a good product. But know that it will take you about 15 minutes to open the package (with a scissors and box knife). I can open 30 music CD's and DVD's faster than I could open this package. 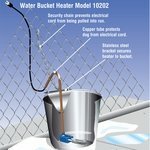 The bucket heater is great, only thing I would recommend is the electric wire have metal wrapped around it. I actually cut the plug off and installed my own metal casing around the wire, so my dog would not chew it. Other than that thing works perfect. Water has not frozen yet. It works great and is so much better than other bucket heaters in many ways. "I have used these for 30 years with all of my Brittany Spaniels in the cold midwest, and they have always worked great!" I have used these for 30 years with all of my Brittany Spaniels in the cold midwest, and they have always worked great! Excellent product. Don't have to worry about my dog when I'm at work. Water is never frozen anymore. Happy Dog = Happy Owner. They last nearly forever. Thank you. So far it is perfect. Prevents your dog's water from freezing in sub-zero temperatures. 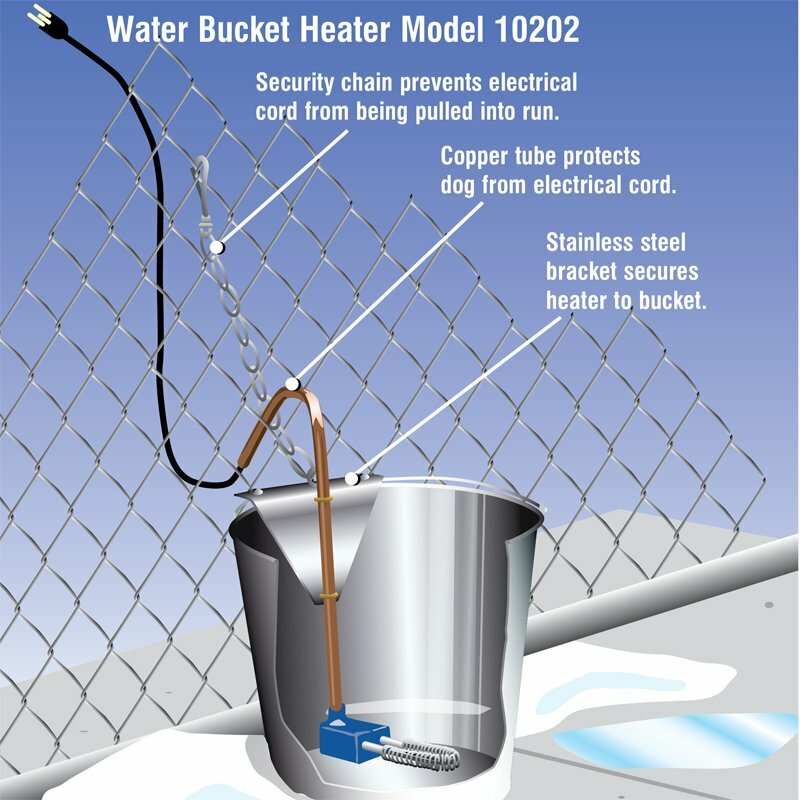 The Nelson Blue Devil Dog Water Bucket Heater Model #10202B prevents your dog's water from freezing in sub-zero temperatures. Works in all bucket types up to 5 gallon capacity -- metal, plastic, and rubber. NOTE: Not for use with extension cords.